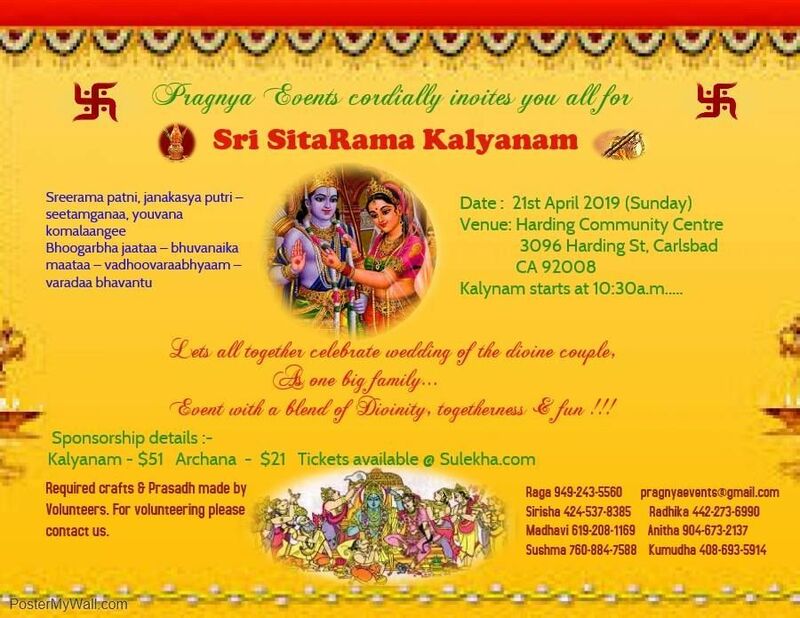 Please note Sita Rama Kalyanam Carlsbad occurred in past. 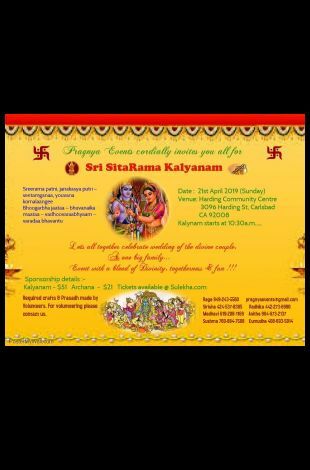 North County initiative to bring community much closer to celebrate wedding of the Divine couple "Sita Rama". A festival to celebrate togetherness & divinity. Come join us with your Family & Friends.